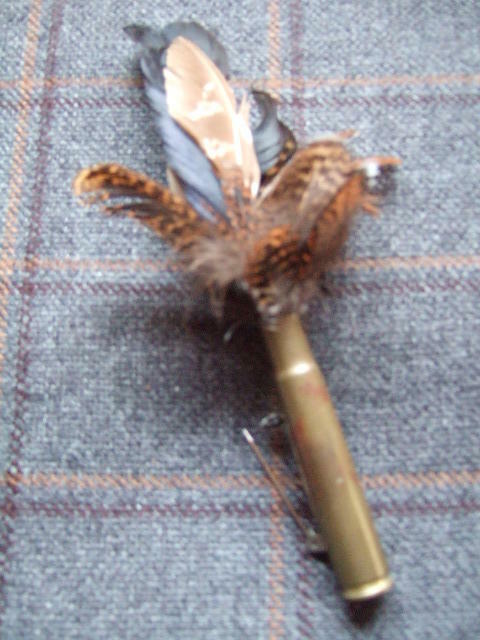 We manufacture every bullet and flute individually using natural and tinted feathers. By Tinting some of the feathers we not only add another layer of colour. It also helps to bring out the many colours found within the tweeds you will want to wear it with.